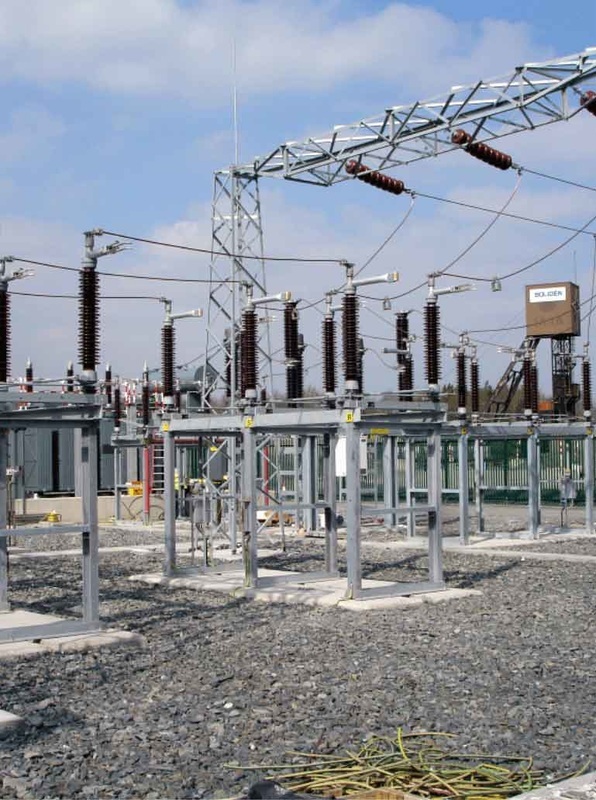 ﻿O’HARA ENGINEERING SERVICES﻿ is a major service provider in relation to the construction of 110kV Sub-Stations in Ireland. 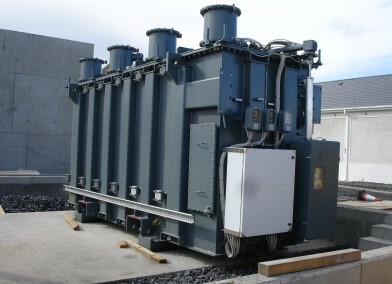 The most common of these sub-stations are Air Insulated Subs-Stations. AIS Stations are the tried and trusted method of distribution and transmission across most of world. The technology used has a design life of 35 years and in many cases there is AIS switchyards across Europe providing service after 45yrs. The major advantage of an AIS Sub-Station over and above other types of sub-station is the fact equipment in the stations is interchangeable. Different manufactures can be used to supply the various devices within the station. An example of this would be an ABB Disconnect feeding a surge arrestor manufactured by Areva which in turn feeds a transformer by CG Global. The advantages that this brings is two fold. In the rare cases where a piece of equipment fails replacement is quicker and easier than that any other type of station. The second advantage is that as technology develops the customer can have the best of both worlds with best surge arrestor technology by one manufacturer coupled with the best transformer technology from another. Tara Mines, which was acquired by New Boliden (Sweden) in early 2004, where production has been under way since 1977. It is Europe’s largest zinc mine and ninth largest in the world. In 2008 New Boliden embarked on a their large scale electrical infrastructure project at Tara to improve efficiency throughout the system. Although this extensive plant has many important electrical plants, none are more critical to operations than their 110kV sub-station. The sub-station construction was six months long and was fully constructed, pre-commissioned, commissioned and declarations of fitness issued to the transmission service operator within the timeframe. O’Hara Engineering Services acted as PSCS for the site and oversaw the equipment assembly of all equipment by each specialist.